Gateway to the Classics has lots to offer users of the Baldwin Project . 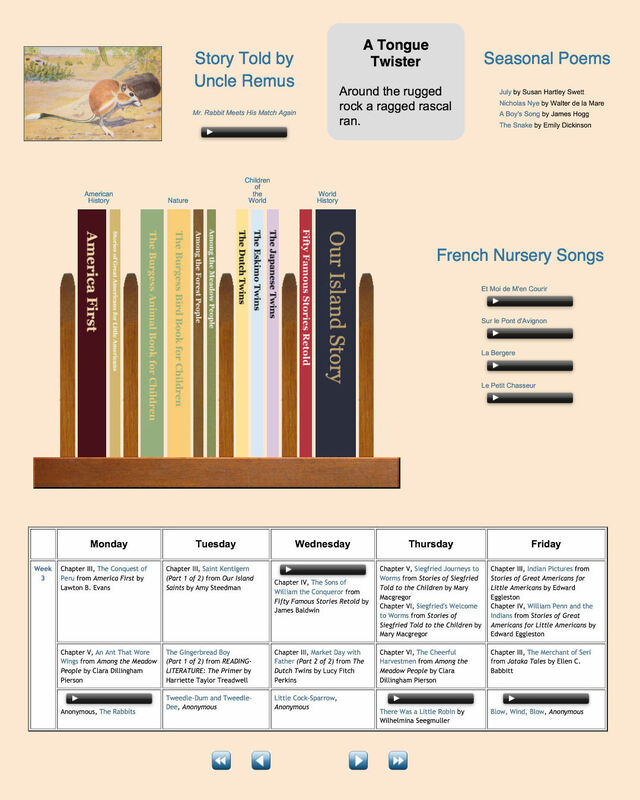 . .
What is completely new in Gateway to the Classics is the ability it gives you to group stories, poems, and books in lots of different ways. Test drive the Sample Library, the Sample Plan, and the Sample Arrangement below to experience the power of Gateway to the Classics. Includes online text for all of the print books published by Yesterday's Classics. Lower resolution for ease in downloading. Higher resolution for display on tablets and other high resolution devices. None Available for 40 books, 475 stories, 122 poems, and 67 songs. You can view the text while the audio is playing. No new content will be added, but existing content will remain available. New titles are added regularly and new ebooks are featured monthly. While the Baldwin Project and Gateway to the Classics have many books in common, there are some books at Gateway to the Classics that are not available at the Baldwin Project and likewise some available at the Baldwin Project that are not currently available at Gateway to the Classics. Any book in the latter category could be made available at Gateway to the Classics if there is a demand for it. User can customize display options for a session, but the process must be repeated each time a session is initiated. User can customize options for up to 15 different views that will be remembered across sessions. Switching between views takes only seconds. Available Not available since Google cannot index content available only to members. 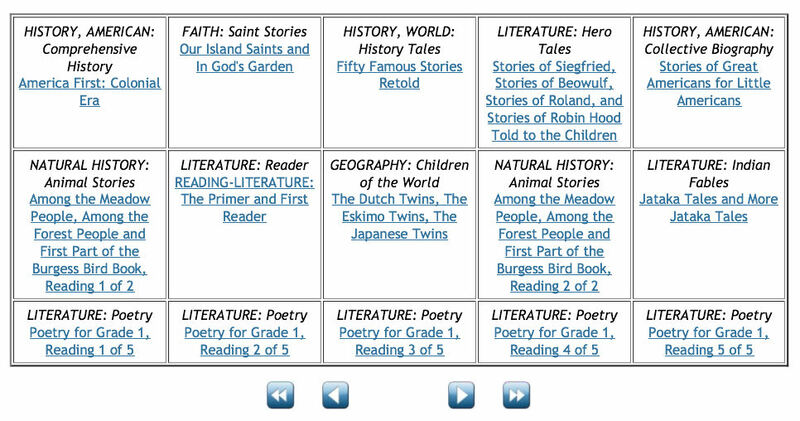 The Book Selector and the Story Selector allow you to select stories based on age level, genre, and period of history. Free Less than $1 per week at special introductory price. 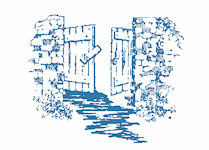 Now that you have experienced the possibilities of Gateway to the Classics by taking the Sample Library, the Sample Plan, and the Sample Arrangement for a test drive, you may be surprised to learn that it took less than 15 minutes to create all three components, once the resources to include had been selected. Our video lessons guide you every step of the way through the process of developing a plan, building a library, and creating an arrangement. Seventeen lessons are available now, with more to follow. At Gateway to the Classics you can view new content immediately the same way that you view content at the Baldwin Project. Then over time you can learn the new features that allow you to group content in various ways. So take a moment to review the features of Gateway to the Classics, then get started today by clicking on the button below! Options must be customized at start of each session. Options are remembered across sessions for up to 15 different users that you define. Google search of text. 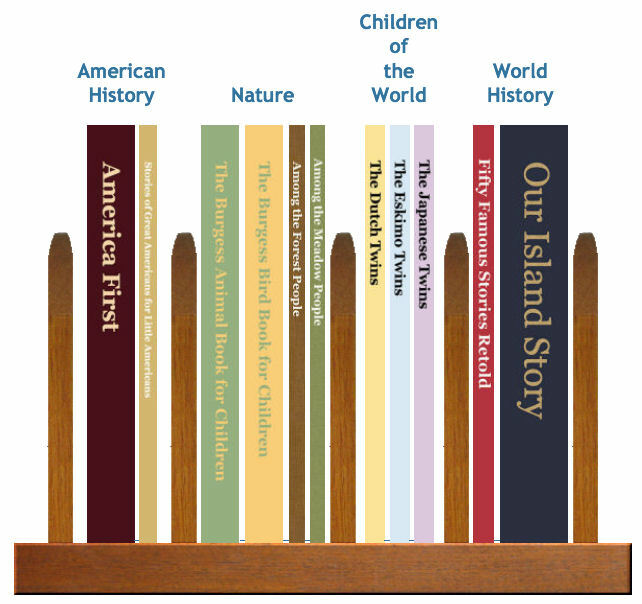 Book and Story Selectors allow you to select stories based on age level, genre, and period of history. No Can group content in lots of different ways, by creating Libraries, Plans, and Arrangements.